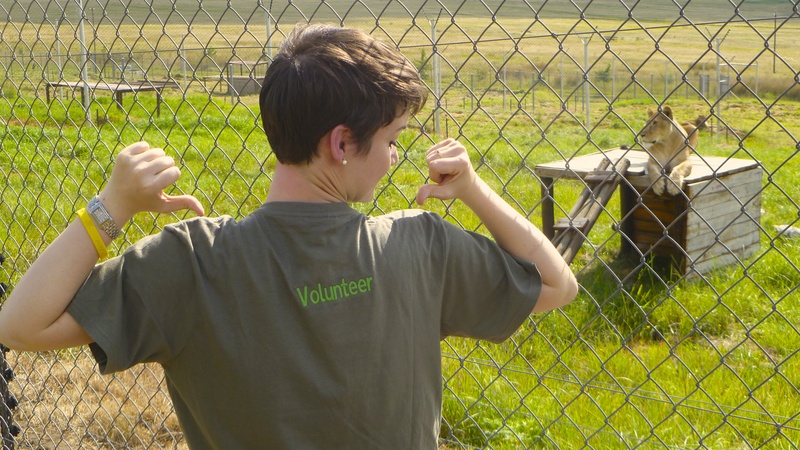 Hello volunteers and travellers out there! My name is Sophie and I spent 5 weeks in the Big Cat Sanctuary Lionsrock in South Africa. I have a big heart for all animals and it was a dream of mine already for a long time to join an animal welfare project where I can volunteer and be as close as possible to the animals every day. In March 2014 my dream became true. It is not easy to find a place where a volunteer is not utilized to pay a lot of money and where you do proper animal welfare. 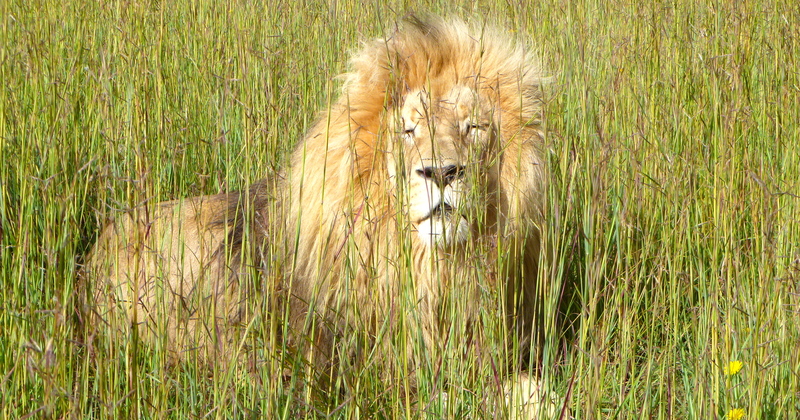 Especially in South Africa you run into danger to actually support the trophy hunting industry. You must be careful to not end up in a project and support this cruel business with your time, help and of course your money. 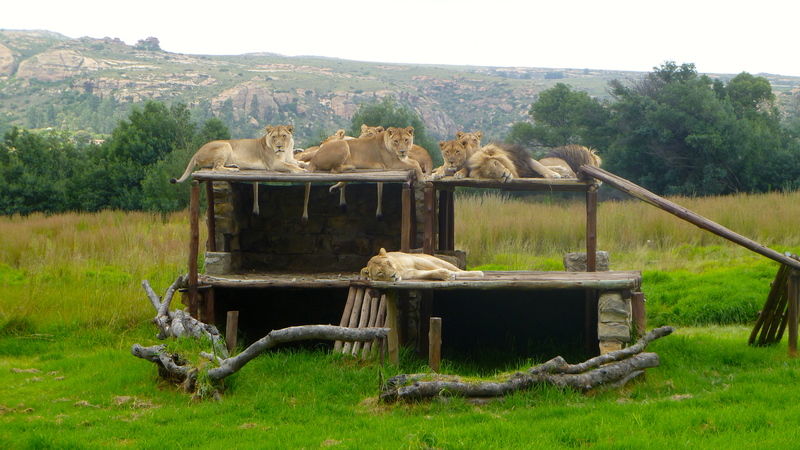 Lionsrock Big Cat Sanctuary is a project by the international animal welfare organization Four Paws. Currently over one hundred big cats are living there, rescued from all over the world, mostly zoos and circuses. 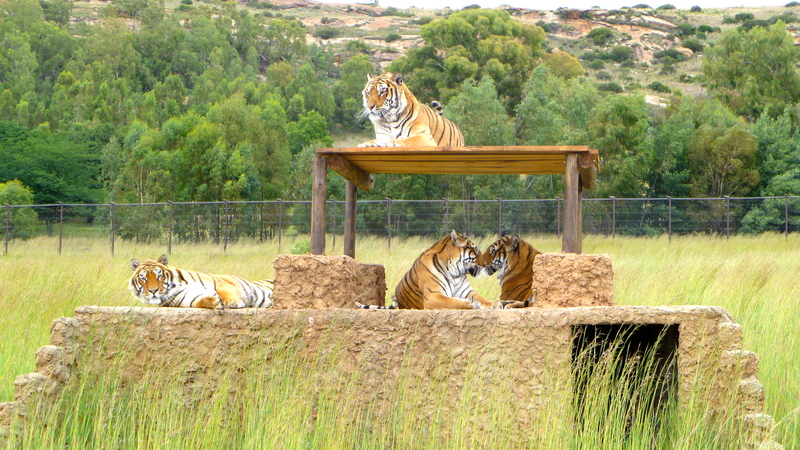 You will see them everyday and meet lions, tigers, leopards, servals, caracals and also horses, zebras or ostriches. The lions’ roaring will wake you up in the morning and also let you know when home time is in the evening. Every day is different and there are always a lot of things to do. Your tasks will be cleaning the enclosures, preparing the animals’ enrichment and of course monitoring. It is very important to see if an animal is maybe hurt or shows signs of illnesses. After one week you know most of the animals very well because you will spend most of your time with them. It might also happen that you are asked to help out at the lodge if it is very busy but it will be a pleasure to work with the staff. I also could do several game walks with guests. 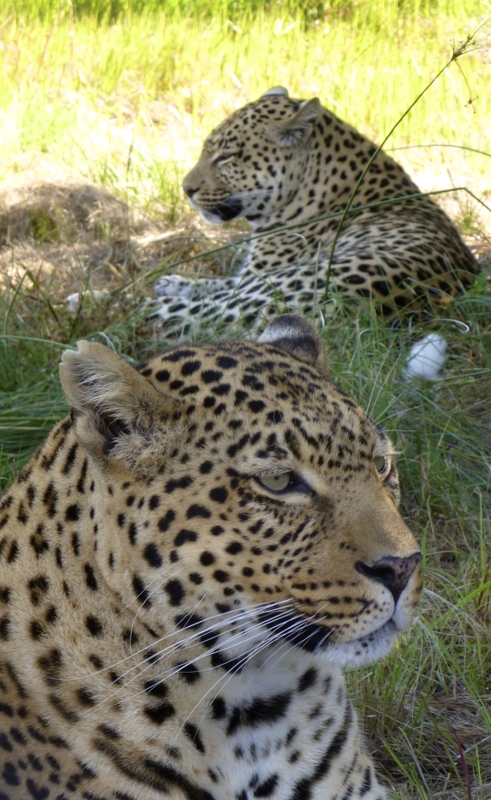 I showed them some more enclosures they didn’t see on their game drives, explained them about canned hunting, Four Paws, what proper animal welfare does and also about my daily life as volunteer. This project is unique in the world. Actually it is very sad that a place like Lionsrock has to exist. Why, will you ask yourself now. The animals there can’t be returned to the wild. They all come from captivity and lived under horrible, worst and sad conditions. They had to lie on cement floor, couldn’t move and didn’t get the required diet. Every inhabitant there has its own history, character and behavior. You will have the chance to get to know them and to gain their trust. You will learn a lot about the conditions for wild animals in South Africa itself but also in zoos, circuses and private captivity because these are the three categories where the animals are rescued by Four Paws. I cannot understand anymore why these majestic animals need to scrape a living in captivity. For me it is clear that I won’t ever enter a zoo or a circus again. It is so important to support the work of Lionsrock and of Four Paws. Mostly the people don’t know. Actually most people don’t wanna know. But everybody I could speak to and explain what the project is fighting for was fascinated and asked how to help to stop the suffering. Everybody can help! Sign every petition against wild animals in captivity, don’t support zoos and circuses and please tell your friends and family about it. If you have a big heart for animals with a passion for their welfare and the wish to make an improvement by joining a unique project you will find peace and joy and make sensational experiences. You can be sure to give something back to these animals that had to suffer and can now enjoy the rest of their life by feeling grass under their paws, seeing the sun and running around in their huge enclosures. Lions are very lazy by the way, you won’t see them running but if they get their food of course they are very fast to catch the biggest piece of meat. For me Lionsrock is a magic place where dreams can become true. My dream really became true and I hope yours will as well. For more information on this exciting project visit our lion volunteer project or contact Anne the destination manager for this project directly on +44 (0) 1892 771975 or by email [email protected].